"We Aspire to Inspire ALL girls to be bold, confident, and unapologetically themselves!" Are you tired of having the same old birthday parties, at the same old places? Try Something new! 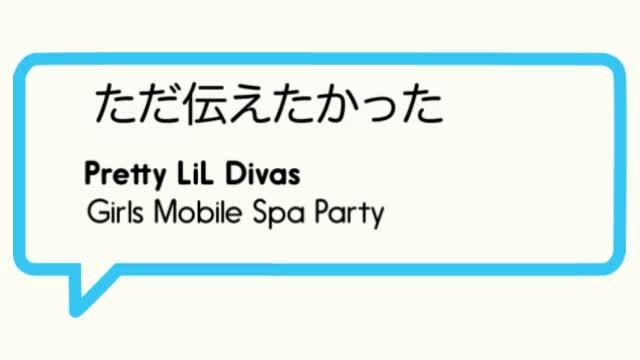 Pretty Lil Divas is a mobile spa party service for girls ages 5-10. We offer an extensive menu of services to give your "Lil Diva" a taste of spa services. Our Girls mobile spa is not your typical spa. Here you will find an eclectic mix of spa services, sprinkled with personal development training and oodles and oodles of Girl Power! Our focus is to nurture the "Inner Diva" within all girls, in non-competitive, fun, and nurturing environment. Here its all about GIRL POWER! We will create a UNIQUE, one –of-a- kind party experience, that your little diva will remember for a lifetime! Because deep down every girl wants to be pampered, and feel empowered. The best part is, We will bring the "spa-tacular" party experience to you! Let us transform your space or chosen venue into an amazing experience. Let us make your "lil" diva's special occasion, one that she will always remember! So if you are tired of having the same parties at overcrowded "kid friendly" establishments, hire us for your event today! Whatever the occasion, let us create a party experience that meets your needs, and exceeds your expectations. Serving Tampa Bay and surrounding counties. I wanted to do something different for my daughter's birthday. My daughter told me that she wanted to have a party at home so I though that having a spay party was the way to go. I was extremely happy with Kisha and her crew. She was very organized, always kept in contact with me to check on my needs and make the experience the best that I ever had so far. I was extremely impress of how she transformed our living room, she created many stations with all the accessories that you will have at a real salon. The girls were really happy and I think they will never forget this experience. I will highly recommend Kisha!! This was the best party ever! Thank you for inviting me!